Down's syndrome is a genetic disorder caused by the presence of a full or partial extra copy of chromosome 21. The condition is typically associated with a delay in physical growth. According to the Centers for Disease Control and Prevention, approximately one in every 700 babies in the United States is born with the issues. Around 6,000 babies with Down syndrome are born in the United States every year. It's a sad but a true fact that about 90% of babies with Down syndrome are aborted in Britain. A five-year-old girl Chloe Lennon is raising awareness of Down syndrome. World Down Syndrome Day is observed on 21 March. Let's raise awareness and create a single global voice for the rights and well being of people suffering from Down syndrome. A five-year-old girl, suffering from Down's Syndrome is gaining popularity with an increased number of fans every single day. Her video raising awareness of Down's syndrome has been watched about 10 million times on Facebook. 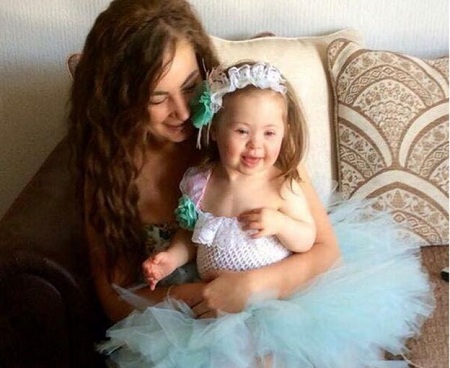 The video of Chloe Lennon was shot by her mother Jade to raise awareness and promote worldwide awareness day about Down's Syndrome on 21 March. The cute little girl urges people to wear odd socks on 'World Down Syndrome Day'. Jade said that her daughter is changing perceptions of children with the condition. She addressed that she has been contacted by a number of people all over the world inspired by the little girl. Here's the little girl's heartwarming video urging viewers to wear odd socks to celebrate 21st March. Jade said that she used to face few horrible comments about her darling daughter both online and in person. "Chloe is just like any other five-year-old and it is heartbreaking when people take one look at her and assume she is not intelligent and she is not capable." "She is capable, as are all people with Down's syndrome." Her awareness campaign is definitely working in a positive term. When the video of her daughter went viral on social media, a mum-to-be in the U.S. who found the same issue at her 20-week scan and decided to go ahead with her pregnancy just looking all the things Chloe has achieved. "She didn't know what to do. She told me she came across the video of Chloe and watched it, then looked at some of my posts on Facebook." "It's such a nice feeling knowing Chloe is changing perception and people are not as scared of children with the condition. It's not a death sentence, it's not the end of the world." The video has been shared for more than 330,000 times all over the world. The gorgeous mum and daughter took part in another video "50 mums, 50 kids, one extra chromosome" made by the Designer Genes 2013-14 group. The film is set to release on Friday, 16th March with an intention to popularise the social media hashtag #wouldntchangeathing. The human body is made up of millions of cells. In each cell, there is a nucleus, where the genetic material is stored in genes. Generally, the nucleus of each cell contains 23 pairs of chromosomes; half of which inherited from each parent. 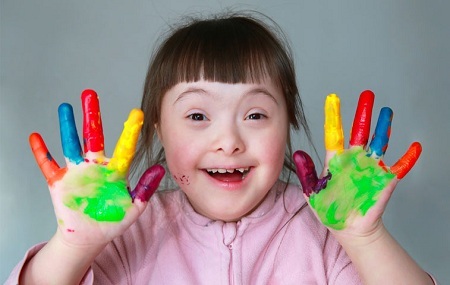 Down syndrome is a condition in which the person has a full or partial copy of chromosome 21. Children suffering from Down syndrome have certain features including a flat face, short neck with some degree of intellectual disability. Though the condition varies from person to person, it is mild to moderate in most cases. Down syndrome is a lifelong condition. If children with the condition are treated with love, care, and support, they can grow normally living a healthy, happy and productive life. Getting pregnant at an older age. Doctors believe that the risk increases for women age 35 and older. If you have a brother or sister with the syndrome. If you have another baby with the syndrome. Distinctive facial features like flat face, small ears, a small mouth, and slanting eyes. Shortened neck, arms, and legs. People with Down syndrome are not basically different from others. Those people also have same desires and aspirations in life that we all do. Many people with Down's syndrome are likely to need more love and care than others. If they are separated from the rest of the community, like care institutions, their learning and growth capacity can be obstructed. Hence, it's vital to understand that living in the same families and communities acquiring same rights and responsibilities play a vital role in the development of people with Down syndrome. 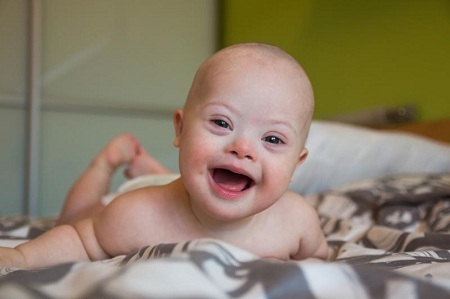 The abortion rate of babies with Down's syndrome is increasing worldwide. 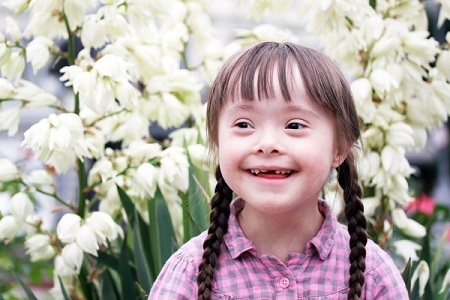 Around 98% of pregnancies with Down's syndrome is terminated in Denmark. As per the Planned Parenthood Advocates of Missouri, anti-abortion legislators wrote the bill about Down syndrome with an aim to make "a wedge issue in [legislators’] efforts to ban abortion altogether." "This is about politics and taking away women’s ability to make personal, private, and often complicated decisions. This bill does nothing to address the serious underlying concerns about discrimination against people with disabilities." Though it's a tough task, it's not an impossible one to raise awareness against abortion of the fetus with Down syndrome. They need equal rights and opportunities like we all normal people do, so, let's create a friendly and fruitful environment for people with the syndrome and make the world a beautiful place to survive with all the love and care!